WEST OF DUNBAR LOCATION. STEPS AWAY TO PACIFIC SPIRIT PARK AND COMMUNITY CENTRE. 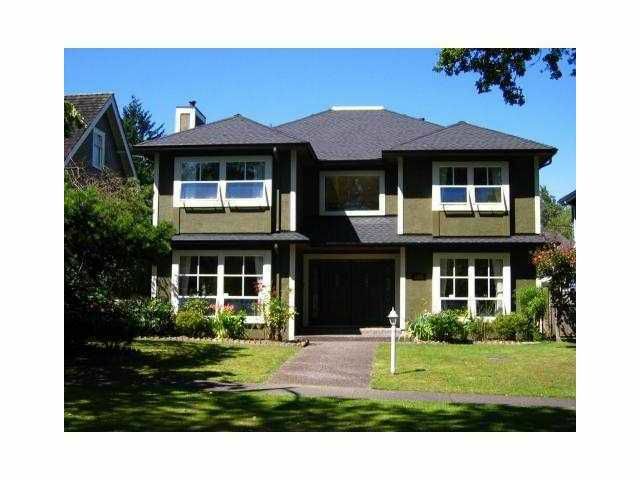 CLOSE TO LORD BYNG OR POINT GREY HIGH SCHOOL, ST. GEORGE'S, UBC, SHOPPING & TRANSIT. BEAUTIFUL UPDATED QUALITY FAMILY HOME. Almost 4,000 sq.ft., total 5bedrooms & den, 4.5 baths, extensive use of hardwood floors thru-out, newer roof, newer appliances, newer kitchen, new paint. Entertaining sized living & family. Large open gourmet kitchen & PARK-LIKE GARDEN. BEAUTIFUL STREET APPEAL. MUST SEE!